Switzerland is divided into three geographical areas according to its natural conditions: Jura, Swiss Plateau and Alps. Jura goes from the South-West to the North-East along the French boundaries straight to the Alps. This ancient windy mountain group consists of mountain ranges mixed with forests and Alpine meadows. Everyone knows about the natural beauty of picturesque landscapes, valleys and mountain forests to make Switzerland one of the most popular green living objects of the world. It does not really matter which way of travelling you chose: car, train or bus. You have to see every little thing on the go. So, you may start your trip from any big city. For example, you may hire a car in Zurich and keep going across the country to see all important nature beauties. Never forget that Switzerland is also the country of lakes and rivers. You can see hundreds and hundreds of lakes here that is the record high for such a small territory. So, green tourists, welcome! The Binn Valley is the most impressive place in the country. You can enjoy the culinary masterpieces in the mountain village. This is a unique place about the architecture and green landscapes. Actually, the valley is famous of its unique culture, tulips and interesting cuisine. The worth visiting restaurants are included into the guide list. Of course, all these places are surrounded by viewing landscapes. This is your chance to enjoy the natural beauty of green mountains, high mountain villages, flowered valleys. The natural park Pfyn-Finges boasts with the variety of green landscapes. This is also natural environment for many types of landscapes. Thus, the ice platform goes after the winery, mountain villages – powerful towers, flats – rocky valleys, French – German speech; all these characteristics make the nature park especially attractive. The dozens of towns and villages that are located on the territory of the park are 500-4 153 meters high above the sea. The dry climate and hot weather at summer is typical for Mediterranean area. What makes the park so special? It is not only about climate. There are many natural dynamic processes that change the landscapes day by day. 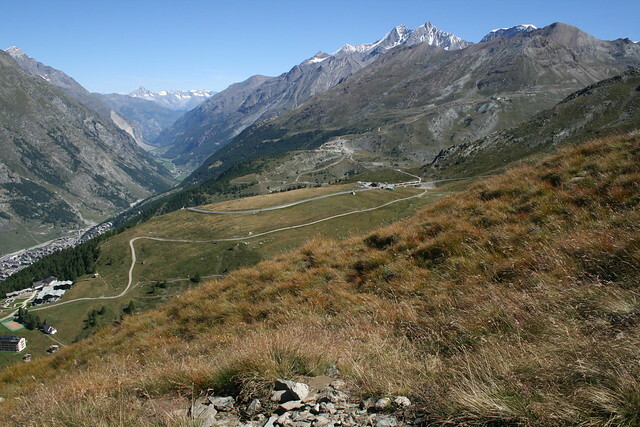 They are mud streams, fires, landslides and of course, the capricious Rhone, going far between the valleys and meadows. The park is easy to get by public transport or by car. This is also a point of interest for ornithologists. You should visit such natural attractions as Turtmann Valley, Barrhorn Mountain (the highest mountain in Switzerland for walking tourists), rocky meadows. Oh, never forget to visit the local castle. You can see the most important winery farm right here. The park occupies area of 300 square kilometers. This is the geological phenomenon of layering: oldest rocks are covered with new mountain formation. This is the easiest way to watch the process of mountain organization and movement of tectonic plates. This part of natural platform was included into the list of UNESCO objects because of its geological heritage. The regions of Switzerland are interesting for historical and geological investigations. Thus, the mountain channel looks like the deep scar to be clearly seeing from the bird’s eye view. The next point is Glarus Canton that stands to the height of 3000 meters in the region of Hausstock-Sardona-Ringelspitz. It goes up and down to be the best picture that you’ve ever seen. The mountains here are green and red colors. They are more than 250 million years old to be the oldest platform layer. You can see the upper layers made of young brown-green mountains that are 35-50 million years old. That is amazing view and feeling to be there! There is one more natural phenomenon here: high concentration of geological objects and anomalies that speak about the history of our planet. They are Lochsite, Tschingelhoren Mountains, Martinsloch, Murtschenalp and amazing landscapes of Ice Age. The biggest in Switzerland winery region is situated on the territory of 800 hectares, offering the most admirable views. St-Saphorin, Dezaley, Epesses – you can hear these names from the wine lovers. The view from the Lavaux Vineyards goes down to the Geneva Lake to be the most popular place for green tourists and the most charming ground field for all photographers. The natural, cultural and culinary advantages of this region are worth your attention. The blue-yellow train that is called Train des Vignes is the most comfortable way of travelling in this region. It takes you 12 minutes to go up to the green wineries of Puidoux-Chexbres. You have a chance to taste local food – the degustation is available at every corner. To feel the taste of local food and drinks, you have to visit one of many local restaurants. Of course, the old vineyards and villages around them are called the UNESCO world heritage. You can see the admirable views from the top of the mountain. If you look down, you can learn everything about the sea inhabitants and other big animals that lived there before. Monte San Giorgio is a big mountain that has world importance since 2010 when it was included in the list of the worthy UNESCO objects. This mountain is 1100 meters high. It was a popular object for scientists since the 19th century. It is full of diggings. Thousands of fish samples and other sea inhabitants were dug there many years ago. Some of them are 6 meters long. This place was the ocean bed 230-245 millions years ago. 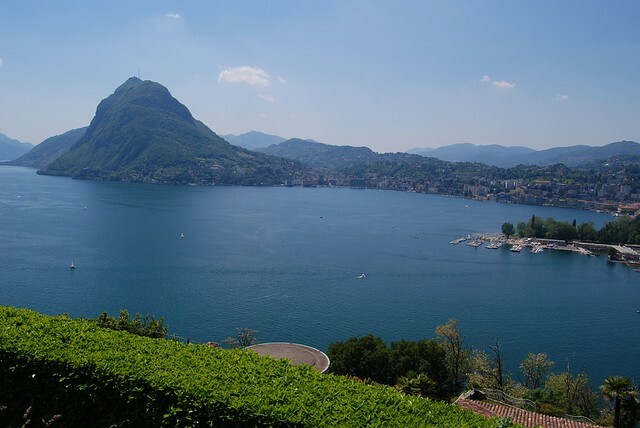 You can have a walk along the South part of the Lake of Lugano. The mountain stands near here as a big pyramid full of relics. You can also walk through the mountain wineries or forest to reach Mendrisiotto grottos. There are more than 80 sorts of fish and 30 reptiles. Switzerland is a unique place for green tourists as far as it is green and glorious country that has many secrets and nature phenomenon. The most of places are scientifically interesting, the others are the only known in the world.